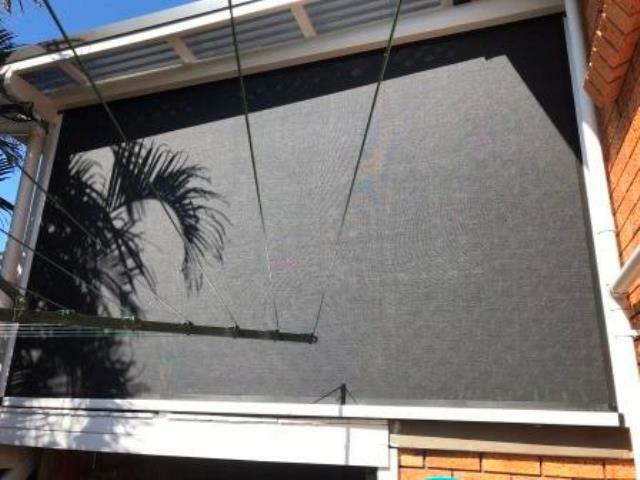 Ziptrak® Outdoor Blinds have a track guided system with no gaps and the blind can stop at any height. 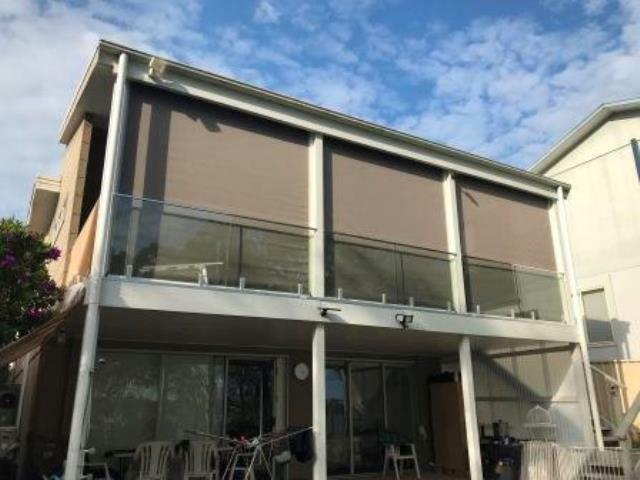 The revolutionary system means that you can create an outdoor room and provide protection from insects, rain, wind and sun glare. There are no cords or ropes and no rattles, even when partly closed. 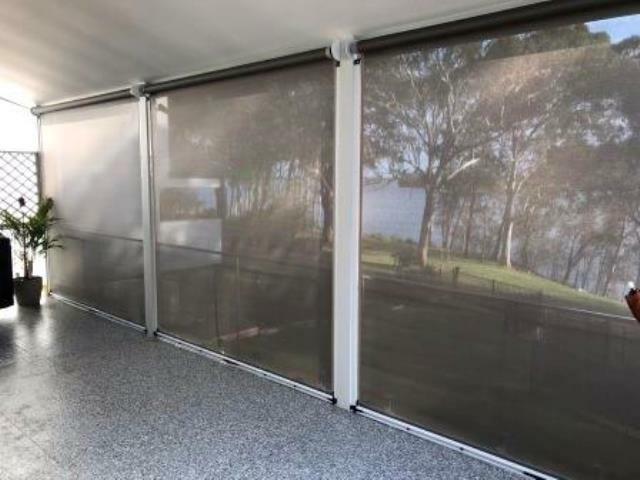 You can extend to up to 6 meters wide in shade mesh material and up to 5.5 meters wide in clear or tinted PVC. 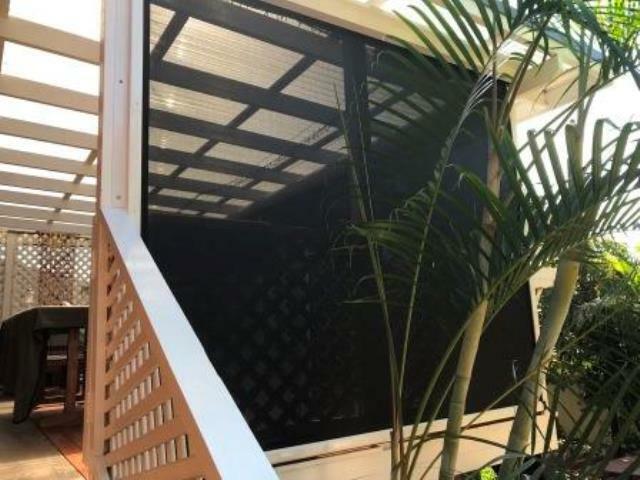 See our case study of shade mesh Ziptrak® outdoor blind installation at a cafe in Wollombi. 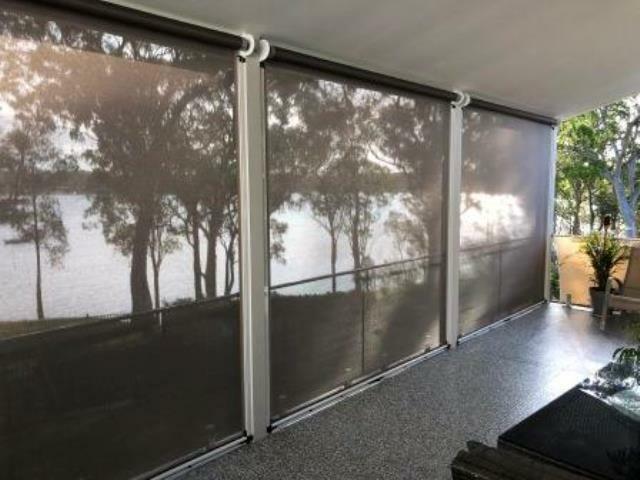 Sunscreen mesh can provide privacy whilst maintaining the view through the fabric. Reduces sun glare and heat transmission. We have a range of stylish fabrics to choose from. 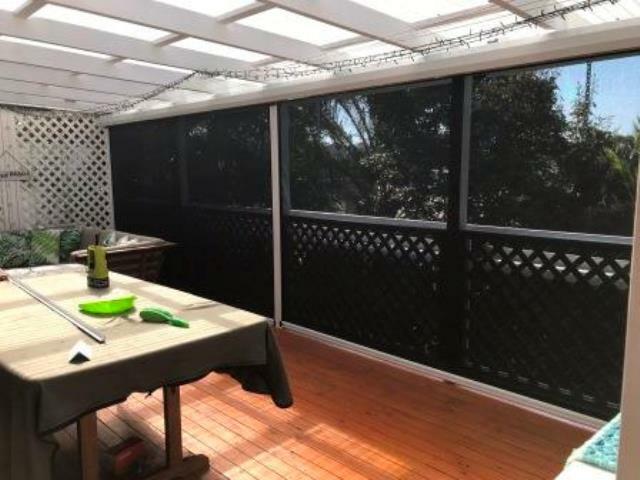 Clear (or tinted) PVC is a great way to extend an outdoor eating area and fully protect from weather events such as wind and rain. We often get asked to install PVC blinds in cafes or restaurants to increase seating capacity during inclement weather. We have also installed in homes to provide a protected area outside with no interruption to views. 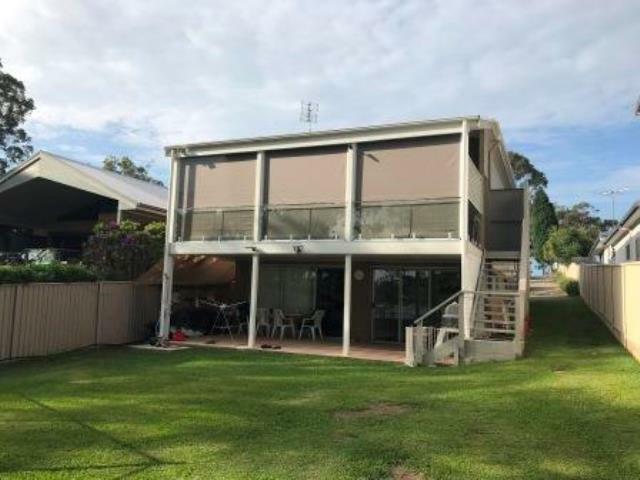 Should I use shade mesh or clear PVC for my outdoor blinds?